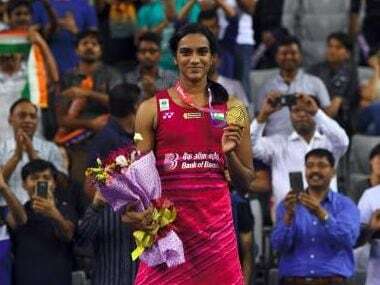 Seoul: Olympic silver medallist shuttler PV Sindhu defeated world champion Nozomi Okuhara in a thrilling summit clash to clinch the women's singles title at the Korea Open Super Series in Seoul on Sunday. The 22-year-old Indian saw off eighth seed Okuhara 22-20 11-21 20-18 in an energy-sapping contest that lasted an hour and 23 minutes to exact sweet revenge of her heart-wrenching World Championship final loss to the Japanese at Glasgow last month. Expectations of an epic battle were raised after Sindhu and Okuhara set up a summit clash for the second time in little over three weeks since they had fought for an hour and 50 minutes in one of the greatest women's singles matches in the World Championships final last month. Sunday's summit clash also turned out to be another electrifying contest as Sindhu displayed great stubbornness to lay claim to her third super series title of her career. World No 4 Sindhu, who had clinched the 2016 China Super Series Premier and India Open Super Series and Syed Modi Grand Prix Gold this season, thus dashed Okuhara's bid to win her third straight title after winning the Australian Open and the World Championships. 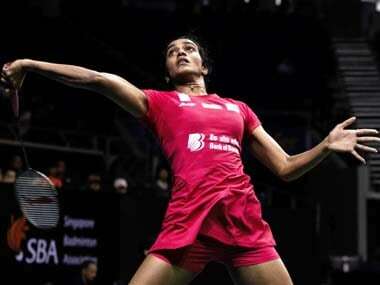 The win also helped Sindhu to level her head-to-head record against Okuhara, making it 4-4 in eight meetings.